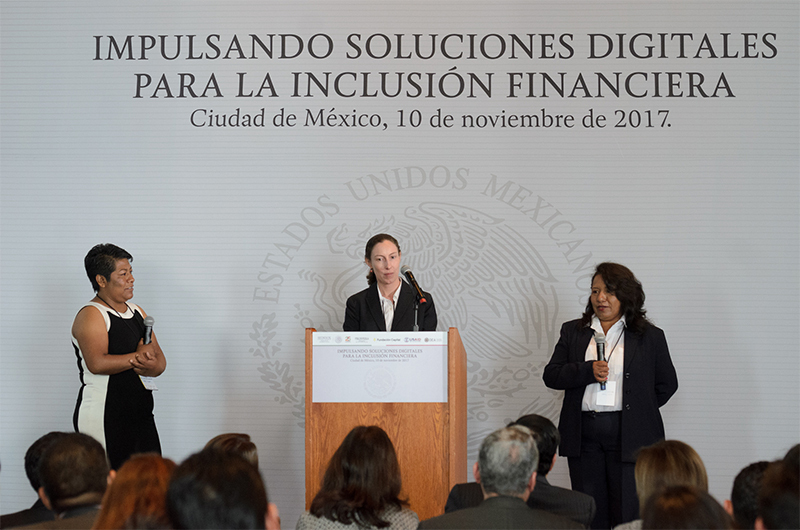 On the 10th of November in Mexico we celebrated the launching of the project “Scaling-up Digital Solutions to Financial Inclusion” financed by USAID, which scales the LISTA Initiative to reach thousands of people. 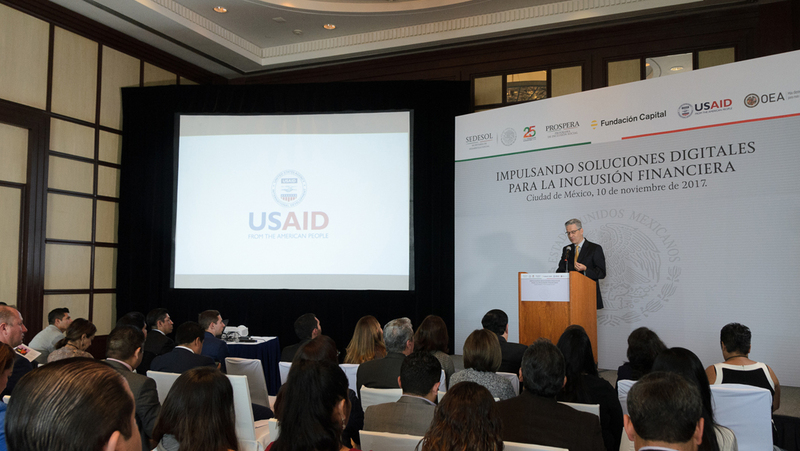 The event, developed jointly with the program of social inclusion PROSPERA in Mexico, gathered representatives from USAID, the Organization of American States (OAS), PROSPERA, the office of the President, Fundación Capital and other financial and governmental entities. The scaling of LISTA in Mexico is taking place in the states of Hidalgo, Tlaxcala, Querétaro and Guerrero. The goal is to reach 10,000 people by July of 2018. To achieve this we will work with 105 tablets which will rotate in the field. 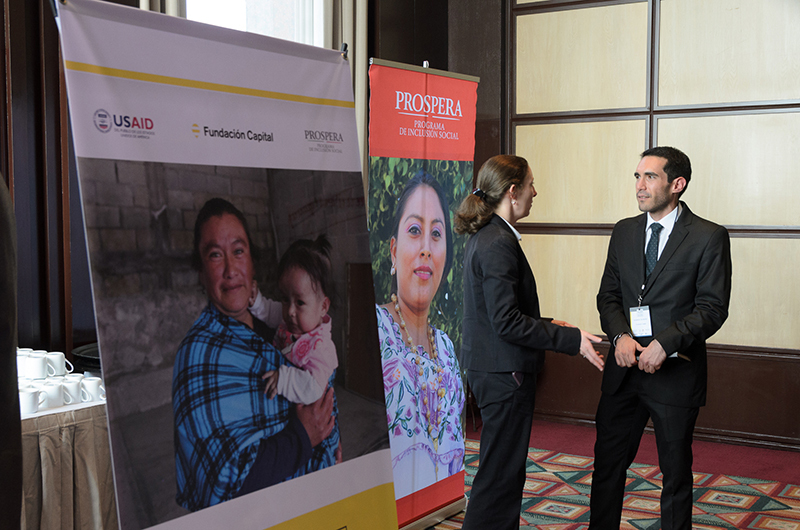 The event highlighted the positive results obtained in the evaluation – carried out with funding from the International Development Research Center of Canada – of the pilot, financed by OAS. The data showed the efficacy and impact of the initiative, the number of people reached stood out: 1,485 people in vulnerable situations. It was confirmed that LISTA increases trust among people who, by sharing the tablet – considered a costly asset – generated a link among each other. In addition, the experience with LISTA provided them with knowledge about financial products and services, and generated a tendency towards savings and covering for emergencies, favouring this practice over borrowing money. LISTA also pushed the acquisition of financial products. In the starting line the number of people reporting having life insurance grew to 10%, those reporting having a death insurance grew up to 16%. Finally, and as in previous implementations of LISTA, there was a huge increase in trust in financial institutions. 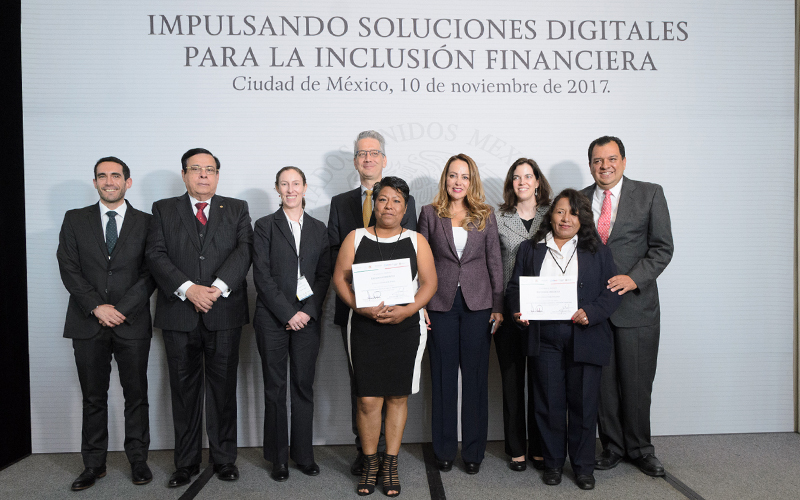 The growth of the LISTA Initiative is made possible thanks to the project “Scaling up Digital Solutions to Financial Inclusion.” The project is carried out with funding from the Innovation Investment Alliance, a partnership between Skoll Foundation and USAID, with support from Mercy Corps. This project is also being developed in Honduras, Colombia and the Dominican Republic, providing thousands of people with the financial capabilities to build their own path out of poverty.